If you're not a Hanson stan like myself, then maybe (maybe) I'll cut you some slack for not knowing that they are still around (never left, yo), consistently creating seriously kickass, soulful rock, are the best live performers I have ever seen bar none, and have cultivated a fan base so passionate about their music that I am far from the only one who has traveled all across the country and further to camp out on sidewalks to get that coveted front row spot at a Hanson show. Of course, I say all this to bring your attention to the fact that Hanson are featured on Owl City's new song, "Unbelievable," an insanely upbeat tune rich with '90s references that officially dropped on Friday, June 26. The infectious track — literally, the sonic equivalent to marinating in pure happiness — boasts that trademark, auto-tuned Owl City sound, accompanied by Hanson's distinct harmonies and nostalgic references to all of my favorite things, like Goosebumps books and Jurassic Park and McDonald's fries (nom). While Adam Young takes the lead on the majority of the tune, you can hear those tell-tale Hanson harmonies in the chorus and hear the guys' solos in the second verse. "Unbelievable" marks the second time this year that Hanson have been featured on another artist's track and upcoming album, something the brothers have never ventured to do until now. 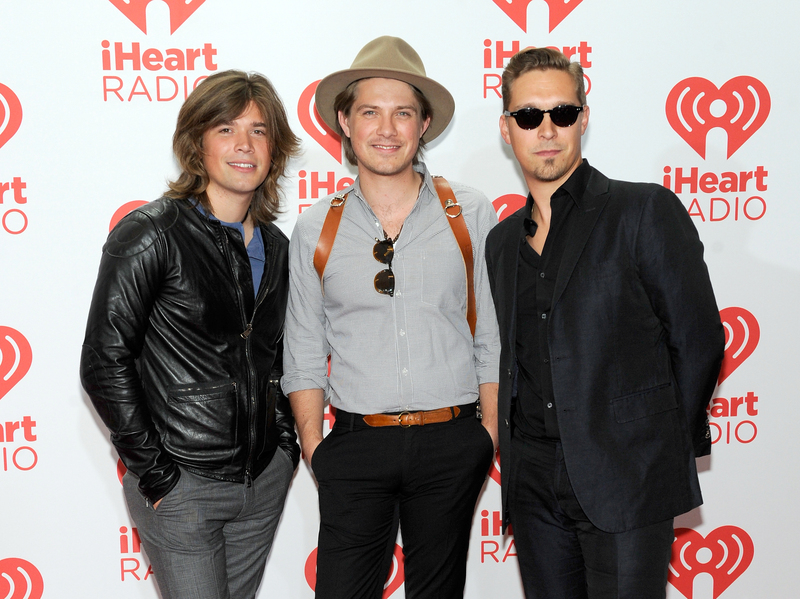 Sure, Hanson have collaborated with other artists during the band's 18-plus year career — Taylor especially, who makes up 1/4 of the supergroup Tinted Windows — but it wasn't until 2015 that Hanson really started branching out with their collabs, like when they also were featured on Blues Traveler's "Top of the World." And since the band is clearly on a roll with their new features, I have some dream Hanson collaborations of my own that I would literally cut off all of my limbs to see happen. LET'S DO IT, BOYS. Let it be known that I would probably not survive an Ed Sheeran/Hanson collaboration because I would be too busy dying, coming back to life, and dying all over again. Having seen Hanson in concert an ungodly amount of times — and having melted into an Alex Mack-like puddle at my first Ed Sheeran shows this tour — the kind of music that these two artists would create would be so perfect it would frankly not be fit for this earth. With Sheeran on the loop and Hanson manning everything else (plus THEIR VOICES TOGETHER asdfghjkl) I can only begin to imagine the beauty they would create in a duet. Plus, Hanson already opened for Sheeran on not one, but two, of his 2015 X tour dates and the guys have already bonded over Hanson beer and Hansonopoly, which really just cements the fact that they are besties 4 lyfe. The pieces are all perfectly in place, JUST BUILD A LEGO HOUSE. Or a collaboration. Whatever. Just make music together and I will start prepping my headstone now. With Swift's genuine talent as a lyricist and Hanson's god-like musicianship — combined with both artists' ability to create a damn good pop tune — there is no question that they would create some serious magic if they all worked together on a song. Like, the world needs this. Now. On certain tracks, British singer-songwriter James Bay's voice sounds almost uncannily similar to Taylor Hanson's, a fact that more likely than not got me instantly hooked on Bay's music. Between Hanson's rich harmonies and affinity for soul-infused rock and Bay's powerful vocals and meaningful songwriting, I feel like a collab between the two would sound something akin to Hanson's "Lost Without You," only maybe a touch more acoustic. Whatever it would be, it would be bliss. Amen. Truth be told, Andrew McMahon (Something Corporate, Jack's Mannequin) has already kind of collaborated with Hanson, considering he was one of the many artists that joined the band for their yearly songwriting retreat, Fool's Banquet, this year. As for an actual, in-the-studio collab with the bros Hanson, McMahon told Entertainment Tonight that he'd "love that; they're great guys." Like Hanson's music, most of McMahon's catalog features pop-rock, piano-driven tunes, so you know their collab would be absolutely seamless. While I don't think that Augustana frontman Dan Layus has as much of a Taylor Hanson-esque voice as James Bay, others (like a reporter at the Houston Press), definitely draw a resemblance between the two. Of course, sounding exactly like Taylor isn't necessarily the mark of a good collaboration, but I can totally see how the musicians' voices would blend insanely well together. Just listen to that stunning a cappella harmony at the beginning of Augustana's "Dust" (above) — combining that ish with Hanson's lush vocals would be like sending your eardrums to a straight-up oasis: blissful AF. OK, guys. Now's the time. Make it happen!